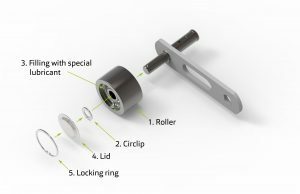 Standard roller unit requires FIVE processing steps for assembly – the KettenWulf Click-on System just ONE! Here you can see a standard roller unit – requiring five processing steps. Our new Click-on System requires only one processing step for assembly as you can see on this technical representation! 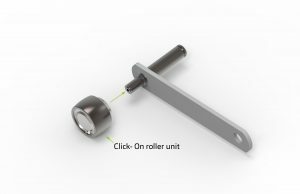 » Assembly of the roller with a single click! Are you interested and/or do you need any further information? Please get directly in touch with our Sales Team. We are looking forward to receiving your inquiries.